It&apos;s no secret that the adidas NMD is one of the most hyped up sneakers right now, and for good reason. 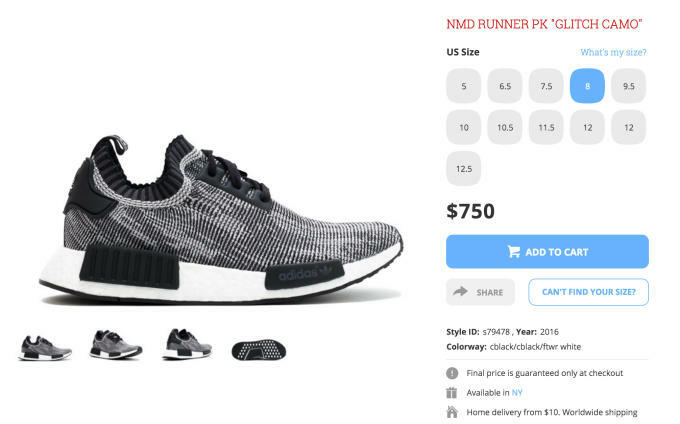 It&apos;s not often that a brand is able to combine modern technology like Boost and Primeknit with retro style and pull it off so seamlessly, but the NMD somehow manages to make it look easy. Still, as great as the sneaker is, we were taken aback by some of the asking prices on Flight Club. The "O.G." 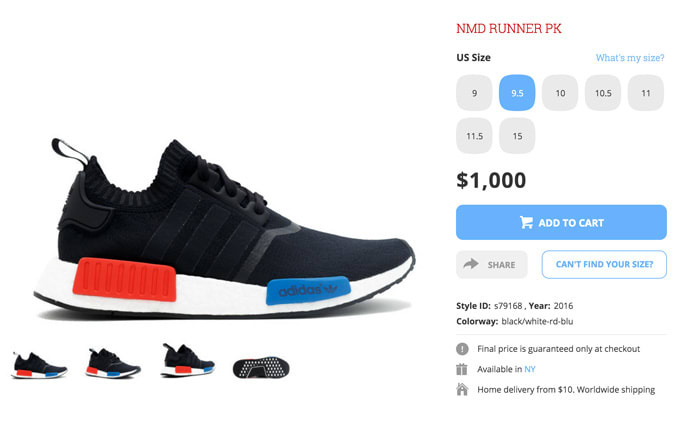 NMD Runner Primeknit colorway, with its defining blue and red EVA segments, is listed for a whopping $1,000 in several sizes—that&apos;s more than five times its original retail price of $170. And it&apos;s not just the O.G.s that are commanding a premium, either. Nice Kicks&apos; tie-dye printed Consortium Series release is going for as high as $850, while the black and white "Glitch Camo" has hit $750. Due to the limited nature of these pairs, it&apos;s not that surprising that they&apos;re going for a premium, but who could&apos;ve foreseen them selling for Yeezy Boost money? 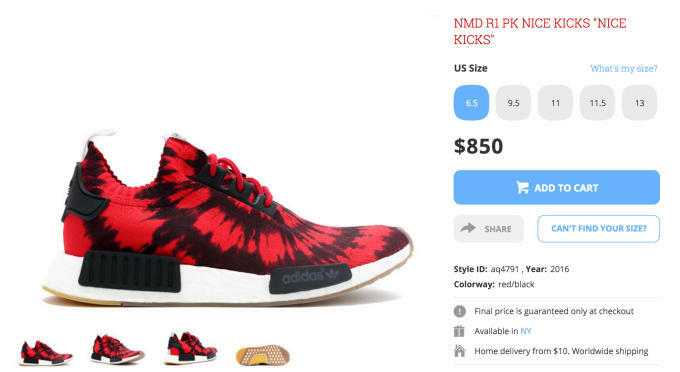 It will be interesting to see if these prices stick as adidas continues to roll out more general release NMD colorways.